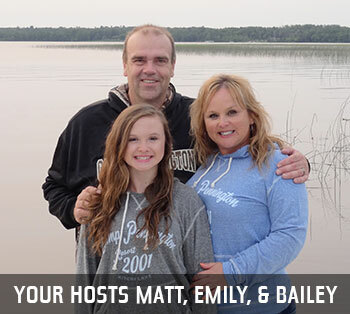 A Northern Minnesota Resort for Friends, Family, and Fun! 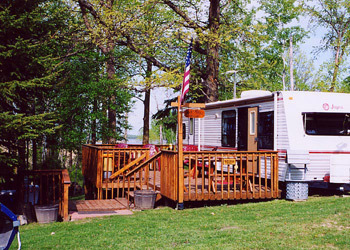 Located on Lake Kitchi, Bliss Point Resort is a family fishing resort/RV park located in beautiful northern Minnesota in the middle of the Chippewa National Forest. 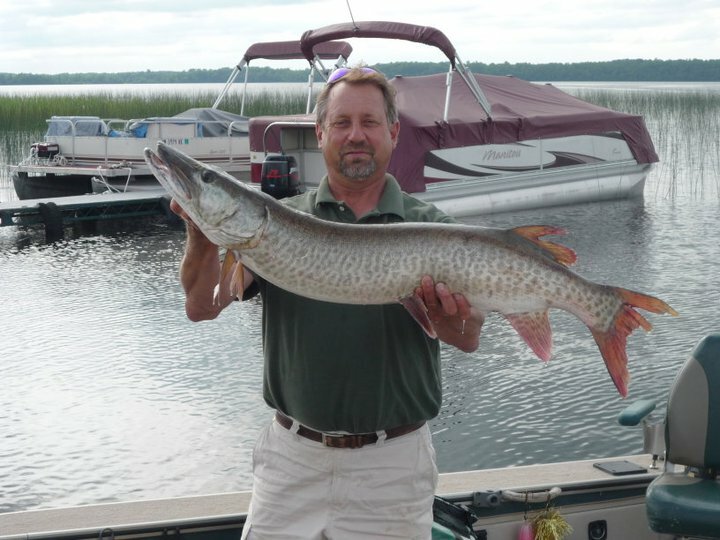 Kitchi Lake is abundant with everything from Muskies, Northerns, Walleyes, and Bass, to Bluegills and Crappies. 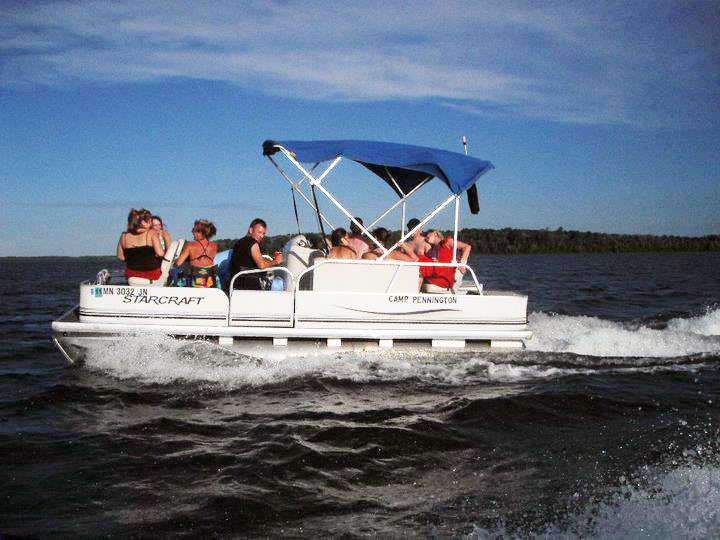 Kitchi Lake is on the Cass Lake chain of lakes for a total of 9 lakes accessible by boat from our docks. Click here to see maps of the lakes on Minnesota’s DNR site. We are also open in the winter for snowmobiling, cross-country skiing and ice fishing. In addition to great fishing on our chain of lakes, the Chippewa National Forrest is home to the largest breeding population of Bald Eagles in the lower 48. It is not uncommon to see several eagles on a daily basis. Kitchi Lake has at least three active Bald Eagle nests that are clearly visible from your boat. Our Cabins feature three season porches with lake overviews, fully equipped kitchens with microwaves & refrigerators, Carpeted bedrooms, Satellite TV, High Speed Internet, Recliners, heat, showers, tankless water heaters, and even soft water! All cabins are air conditioned! Our Cabins are nicely spaced, giving you additional privacy and comfort that larger resorts can’t offer! Contact Us to Book Now or click a cabin below to learn more. We just added 10 beautiful wooded spots in July 2017 they are booking fast but we do have a few left open. habitat of Bliss Point Resort. Our newest sites all have a spectacular lake view and have 20/30/50 amp electrical service. Sites are available by the day/week/month or season. All sites include: One dock space; use of the boat ramp; (soft) water; sewer; garbage; and pay for use electrical service. Contact Us to book now. Paddle Boats & Kayaks Free! Free! * Gas and oil are extra. From Cass Lake: Take Hwy 2 east 5.5 miles to county road 10/39 (Scenic Hwy) and turn left (north) and go seven miles until you reach the Scenic Store & Gas Station. Take a left on Roadrunner Dr NE (directly accross from the Scenic Store & Gas Station) and follow 1/2 of a mile to Bliss Point Resort. From Grand Rapids: Take Hwy 2 west 47 miles to county road 10/39 (Scenic Hwy) and turn right (north) and go seven miles until you reach the Scenic Store & Gas Station. Take a left on Roadrunner Dr NE (directly across from the Scenic Store & Gas Station) and follow 1/2 of a mile to Bliss Point Resort.